Blog / Tutorials / What's Hot? In the recent years Japanese comics Manga have become very popular. Their style is recognizable and unique, they are focused on portraying ordinary people, not superheroes. In a literal translation from Japanese manga means “funny pictures”. By the way, for a beginner artist to draw manga is easier as there is no need to know and draw hundreds of muscles, with which the body of a superhero is covered. 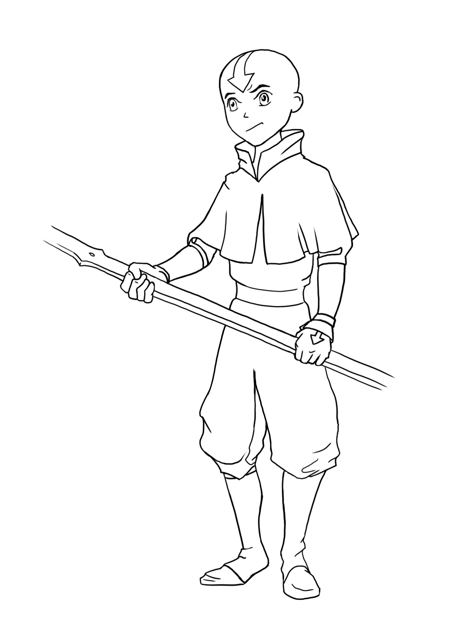 So how should we draw manga characters? A head of the manga character is noted for a rounded shape and lack of angles. This is due to the fact that many manga characters are quite young. A chin in the manga style is never drawn as square, it gradually converges to a point at the bottom. Eyes on the face are drawn quite low, and that’s why many manga heroes look like children. Another important feature that the hero’s eyes in manga are drawn large and widely spaced. This makes the head even more round and reinforces the impression that the hero is still just a kid. The nose is always drawn thin and small, so it does not distract the viewer’s attention from the large expressive eyes of the hero. The mouth is also too small and tight, but it can open and express a variety of emotions. It is the eyes and the mouth that are responsible for the emotional state of the hero. Step 2. Divide the circle in half by a vertical line. This auxiliary line helps to sketch eyes properly on the character’s face. Both eyes should be in the same distance from the center line. Now draw parallel horizontal lines to outline the boundaries of eyes, mark a position of the nose base and lips. All you need is 4 auxiliary horizontal lines. The nose base should be in the middle between the top edge of the eyes and a chin. The nose base must not be too far from lips. Step 3. Draw an oval of the face, cheekbones and a sharp chin. Start drawing contours of eyes. Remember that in manga, eyes are the conceptual center of the face. Now draw ears. Place them low enough, between the auxiliary line of the upper edge of the eye and the line of the nose base. Now draw lips with a quick gentle touch. Lips should be short, that will emphasize your hero’s young age. Step 4. Draw carefully eyes and nose. Step 5. Mark the magnificent shape of the hair, giving some extra height to the head and shifting eyes down. Now finish eyes and draw eyelids. Add some small details, such as earrings, jewels, and so on. Step 6. Finish the picture. Erase auxiliary lines. Now you’ve got a young manga character in front of you. Manga characters’ hairstyles are usually puffy, due to the fact that they have high foreheads. Let the hair fall freely on the forehead, covering eyes and streaming down the sides of the head. Draw hair with long, sweeping strokes. The hardest part of drawing a manga character is to draw eyes of the hero. They attract the main attention of the viewer, so it’s important to learn to draw them properly, so that they convey the hero’s thoughts and emotions. The eyeball is round, but since it’s covered with lids at the top and bottom, the eye has an almond-shaped form. Manga character’s eyes must have many reflections on the iris and the pupils, while some reflections may be star-shaped. The body of the manga hero resembles the body of a child. Hands and feet are rather short, fat and not skinny.Muscles are almost not visible around his neck. A slightly noticeable waist connects chest and hips. The figure is slightly bent forward, his stomach protrudes like a child’s. Of course, all of the above is just the basic rules. In order to learn how to draw manga, you still have much to learn, for example, what are the types of manga characters, how to draw them in motion, and so on, but at least now you know what to begin with, and in other articles we’ll talk about other secrets how to draw manga. You may also want to read how to draw cartoon characters. 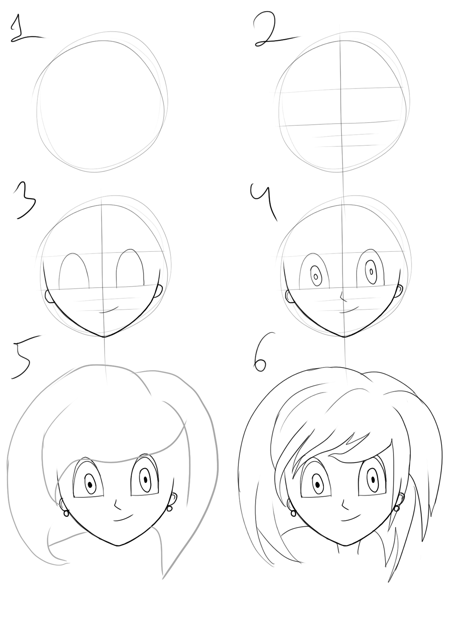 Would you like to get an instruction how to draw your favorite fairly tail character? If so, please, write which of them you’d like to draw and we can make a post about it with the instruction. We’ve made an article about how to draw angry birds – maybe we’ll make a tutorial how to draw angry birds in space or star wars, this is a good idea!